Directed by Felix van Groeningen. With Steve Carell, Timothée Chalamet, Maura Tierney, Christian Convery. 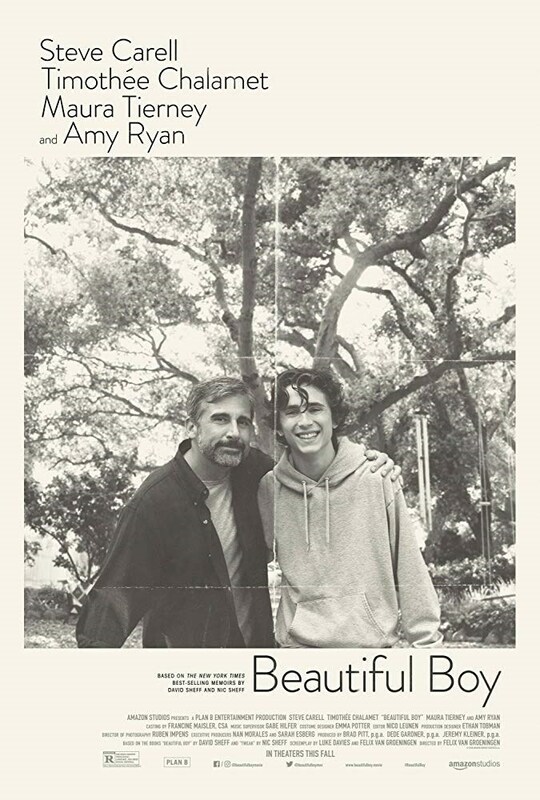 Based on the best-selling pair of memoirs from father and son David and Nic Sheff, Beautiful Boy chronicles the heartbreaking and inspiring experience of survival, relapse, and recovery in a family coping with addiction over many years.